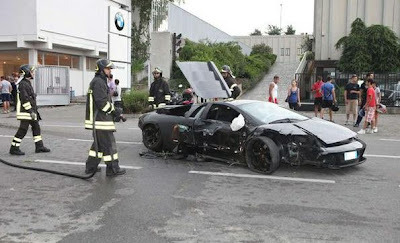 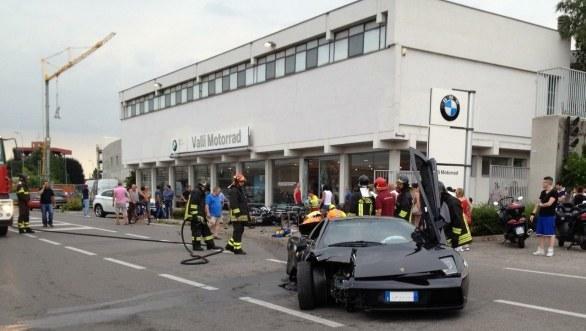 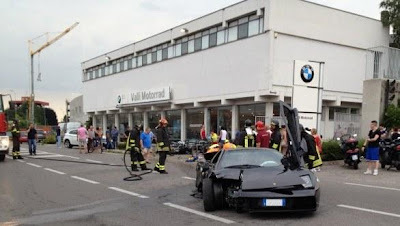 Yesterday in the late afternoon took place an accident in Mariano Comense (nearby Como) that involved a Lamborghini Murcielago and a lineup of motorbikes. 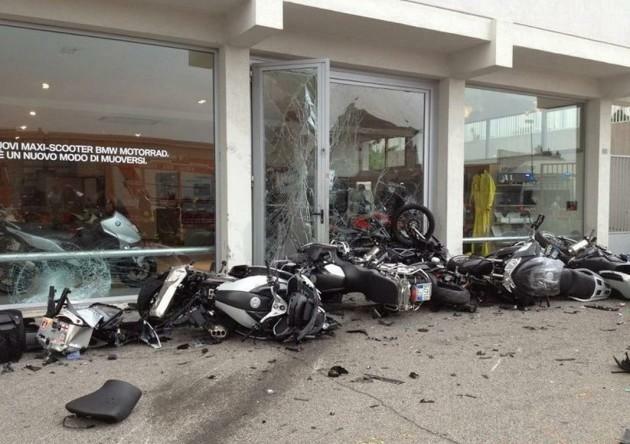 The car was driving pretty fast and lost the control by crashing in the lineup of the BMW Motorrad dealership and hitting two people, but luckily the fatal crash has been avoided. 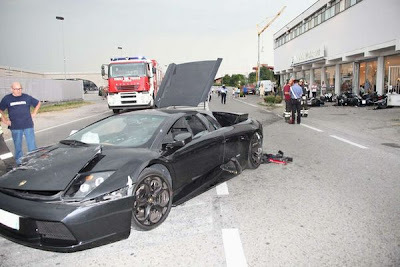 Both the Lambo and the bikes have been seriously damaged.